Blemishes have been a part of my life since I crossed over to the teenage years. They never really stopped as I become a mother of 3: I still get pimples which often turn into blemishes. Good thing I grew up with a mother who was not bothered by her own blemishes. • I'm transparent with my kids - I have apologized so much that they are naturally saying "God's gonna help you mamãe." I know I'm not gonna do this parenting thing perfectly, so I might as well use the grace I've been given to be real. • I make time for parenting - I have to say no to a lot of leadership (and volunteering) positions to make time for parenting. Because parenting is my priority, I am determined to take the time to do it. I can't do everything and I know I am responsible to parent my own kids. • I don't parent alone - I'm blessed to be married to Zeke who parents with me but even as he's gone to work, I realize that God is my very present help. I can always count on Him. No matter the challenge (I've had many), He always helps me and gives me wisdom. He is my number one source when it comes to parenting. • I seek wisdom - I try not to go on the parenting journey solo because there's safety in a multitude of counselors (Proverbs 11:14). This doesn't mean I hear what everyone has to say, it does mean that I attentively listen for wisdom from the mouths of those who care about me. I often don't start the conversation with "tell me something I don't know." I love and honor from my heart, which opens my ear to the wisdom they naturally speak. I'm also an advocate for older women teaching me (that's also in the Bible, see Titus 2:3-5. • I parent, makeup-free - just so the whole world can see that I carry blemishes in that area of my life too. My goal is never to be put on a pedestal. My goal is to be the mother God has called me to be. I owe Him and Zeke and our kids to be transparent, joyful and humble. I really hope that my kids realize I'm not good at everything but I am a parent who loves unconditionally and who sets a Godly atmosphere at home where they feel our love and God's love. 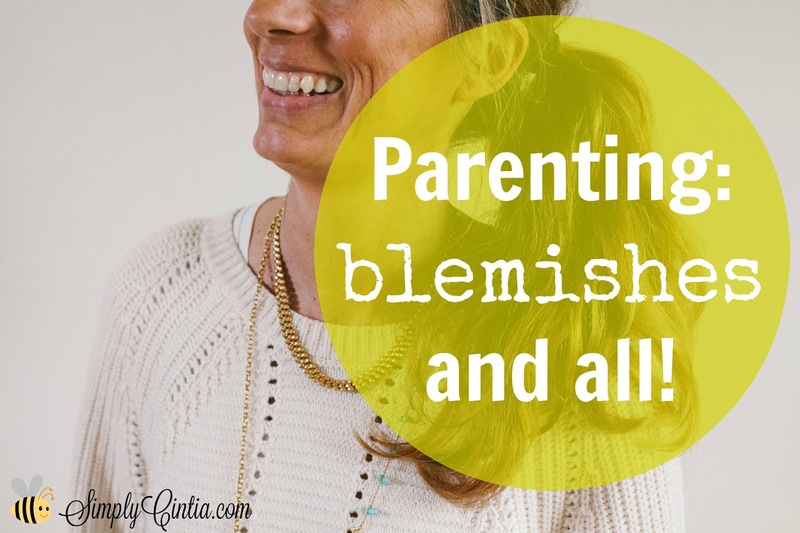 Question: what keeps you from parenting with blemishes and all?